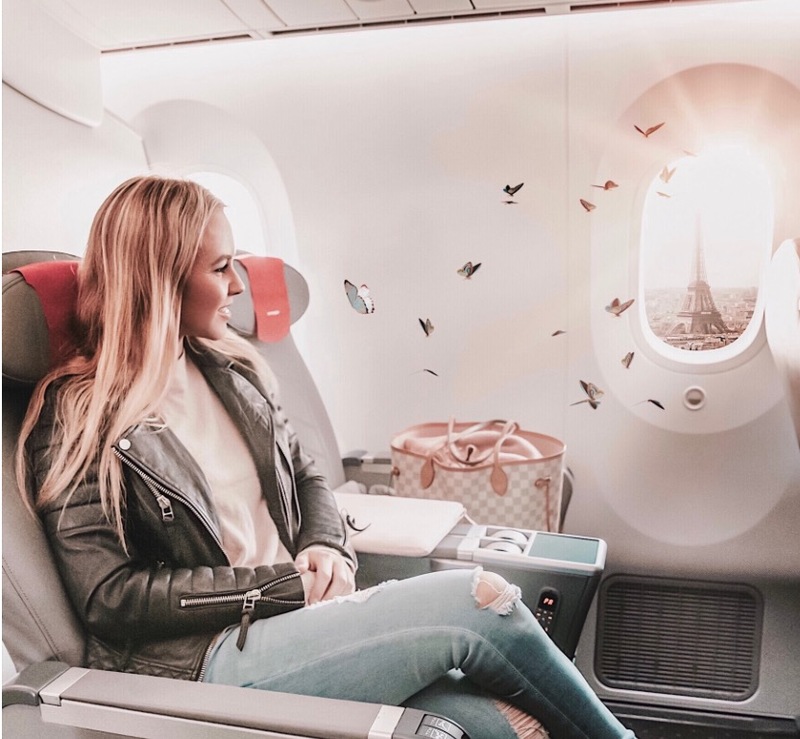 Pilotmadeleine Aka Madeleine Schneider-Weiffenbach is a mega travel and photography Instagram influencer with over 1 million followers. Her Instagram photos are beyond stunning and she has an equally picture perfect boyfriend to go with her gram. Madeleine Schneider-Weiffenbach has spent a good chunk of her life in the air. After earning her pilot’s license, she had trouble finding a job with an airline, so she channeled her love of flying and travel into a different career path. These days, she’s a passenger more often than a pilot as she shares her adventures on her blog, Pilot Madeleine, and on Instagram. She keeps her license current just in case, though. INSIDER spoke to “Pilot Madeleine” about her enviable travels. Growing up in Munich, Germany, Madeleine Schneider-Weiffenbach always dreamed of being a pilot. So she channeled her love of travel into a new career path: travel blogger. She got an MBA and started posting about her life and travels on Instagram as @pilotmadeleine. 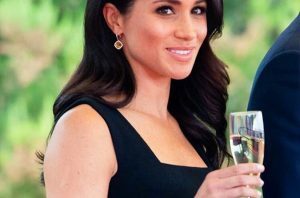 “At the beginning I only had an aviation account, and then I started to post a bit more about my personal life, about fitness and food, and lots of traveling, and it became so popular that after one year I did my MBA, and I could live off it,” she said. She’s lost count of how many places she’s been to so far, but ranks Hawaii as her favorite destination. Seeing the world with her boyfriend, model Iqbal Gran, has also made the experience memorable. While she loves to blog about her time flying around the world, she eventually hopes to return to her other dream job: being in command of the cockpit. There’s something mythical and so Romantic about Greece. 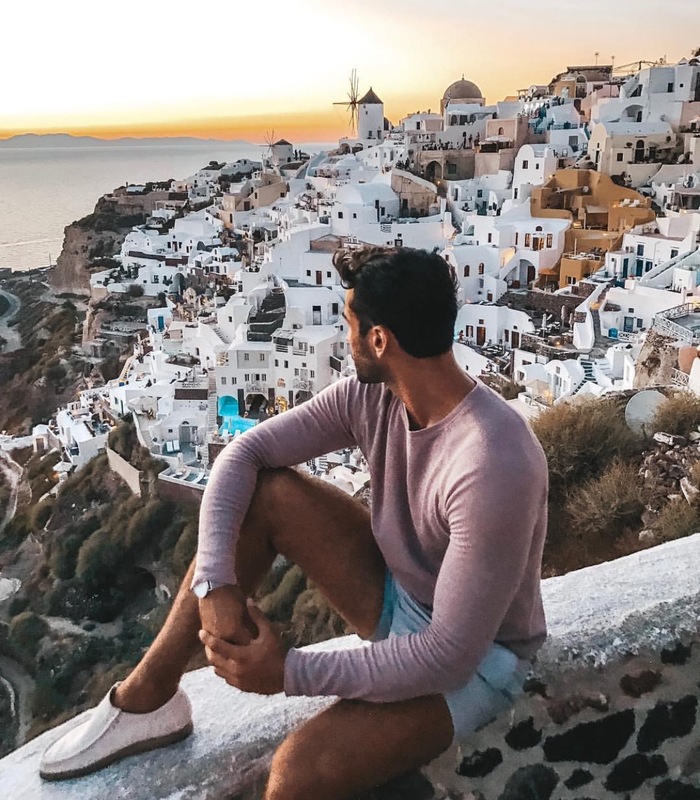 So we picked out some of Madeleine and lovers Greece pics to inspire you today. 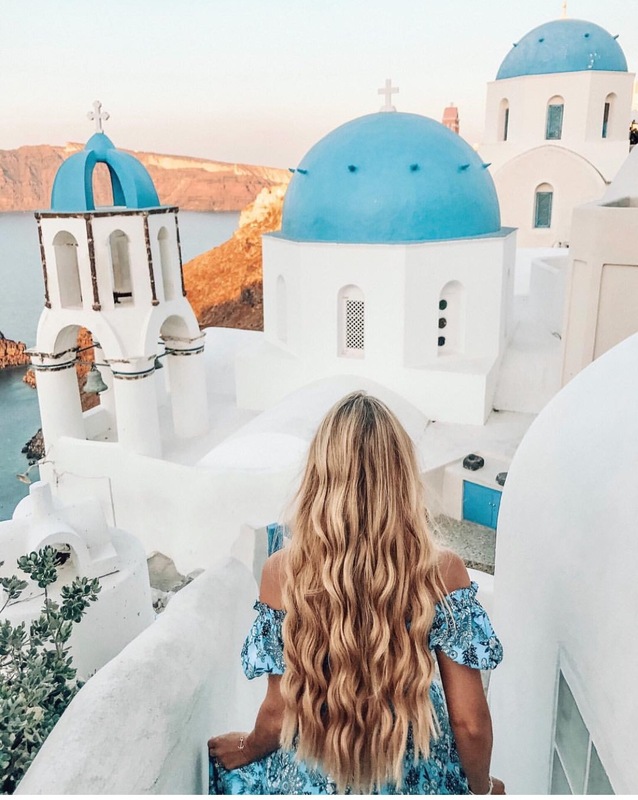 See how she makes already stunning Greece look even more spectacular. We can't get enough of him.